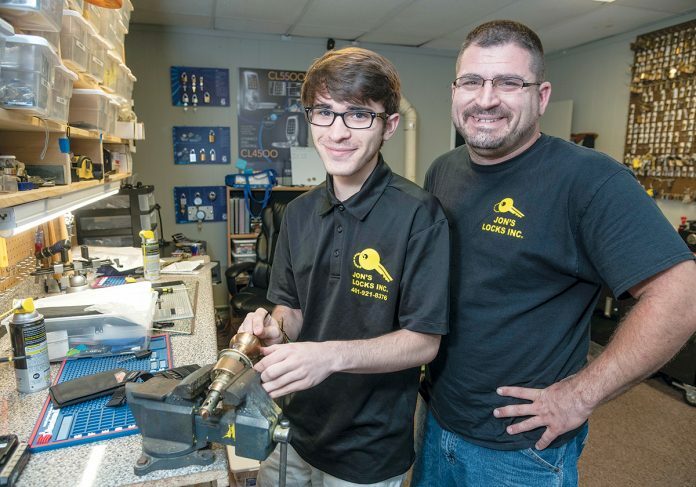 VETERAN LOCKSMITH: Jon Issa, right, is the owner of Jon’s Locks, which provides lock sets and other security services. He recently moved his business into a storefront retail location in Warwick. With Issa is his employee and son Zachary Issa.